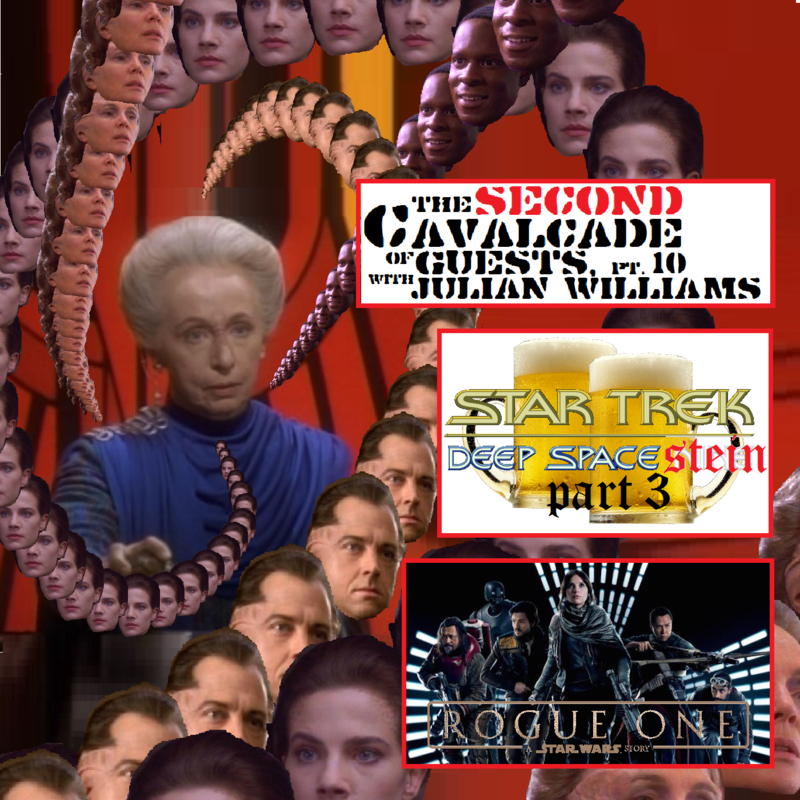 Three episodes deep and with no sign of stopping, here comes Deep Space Stein Part 3! And what better way is there for us to celebrate than by drunkenly talking about Dax, the most boring episode of Deep Space Nine EVER!? In all seriousness, we have a lot of fun ripping into this dull TRIAL of a story and we’re lucky enough to be joined, for the second week in a row, by Julian Williams! He helps us, among other things, recognize the glory of the Arbiter. We also chat about Flanaganians, Sriracha beer, what little girls are made of and, for a solid ten minutes, our thoughts on Rogue One: A Star Wars Story! Overall, it’s one hell of a goofy romp and one that you surely won’t want to miss.